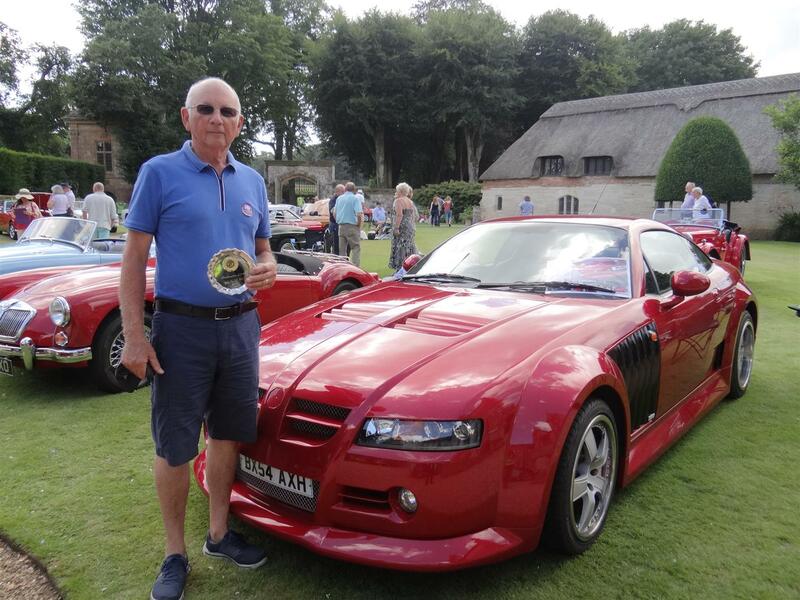 Our big charity day, again held at Athelhampton House in really good weather was a great success and provided a great opportunity to meet old friends and make some new ones. The atmosphere around the grounds was brilliant with the New Forest Dixieland Jazz Band playing for us. We thank our trade sponsors for their support and I never forget those club members who give their time to organise and run the day. The Octagon club arrived in force and parked their cars in the carriage circle directly in front of the house and as always looked pristine. On the day we had examples of many of the MG models produced and the “Car of the Day” was awarded to Bill Rockstro for his superb SV. Our two current charities, Macmillan Caring Locally and Dorset and Somerset Air Ambulance benefit from the proceeds of the day and we are able to present £1000.00 to each of them again this year. We thank Patrick and Andrea Cooke for again allowing us the run of their house and gardens; they provide a superb backdrop for our charity day.